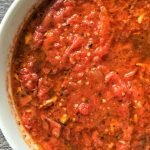 Roasted Tomato Sauce Made from Fresh Tomatoes - Super Easy to Make! Roasted Tomato Sauce Made from Fresh Tomatoes – Super Easy to Make! This roasted tomato sauce is perfect with fresh tomatoes from your garden. It is so delicious you won’t buy jar sauce again and best of all it’s easy! 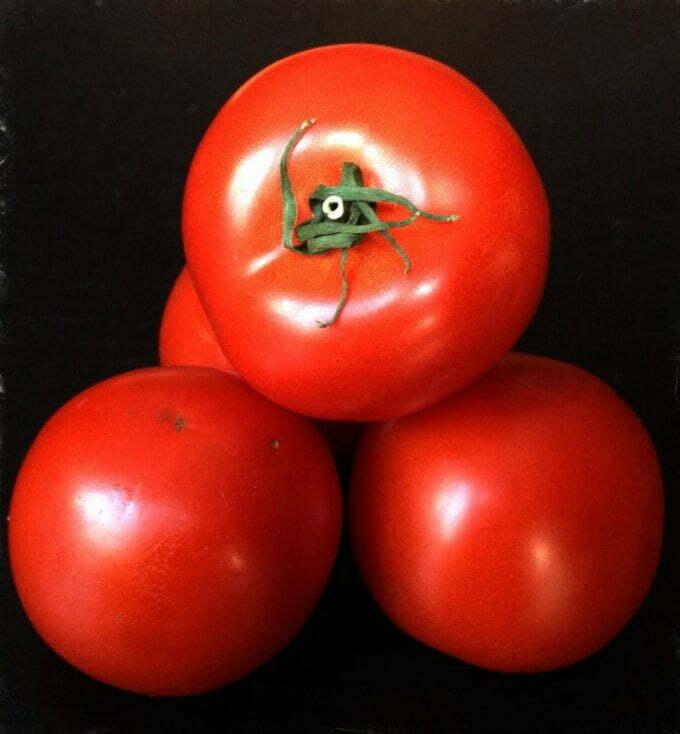 For more fresh tomato recipes try my tomato bacon jam or bruschetta salad! So today I had 4 nice vine tomatoes just hanging out on my kitchen counter. When suddenly I remembered a cooking show I saw recently at the gym. (Yes I know watching cooking shows while working out is rather ridiculous.) Anyway, I remember it seemed simple and it looked delicious so I decided to just make my own version. Let me tell you this will be a regular at my house…especially when summer comes and we are bombarded with fresh tomatoes. First you need a few ripe tomatoes. 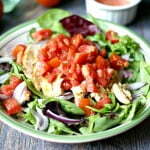 This is great when you are bombarded with fresh tomatoes from the garden but you can also use tomatoes from the store. Quarter these and add to a baking dish. Drizzle with olive oil. Add a few cloves of garlic, salt, pepper and Italian seasonings and you are good to go. Roast them in a 375 degree oven for about an hour and they should look like this. Next you mash them a bit with a potato masher and voila! You have roasted tomato sauce. Serve with pasta, other veggies, on a sandwich or just with a piece of bread. It really is simple and delicious!!! I hope you give this a try because it really is delicious and the perfect way to enjoy fresh garden tomatoes. 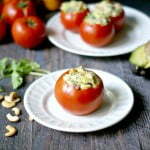 For more delicious tomato recipes check out these recipes! 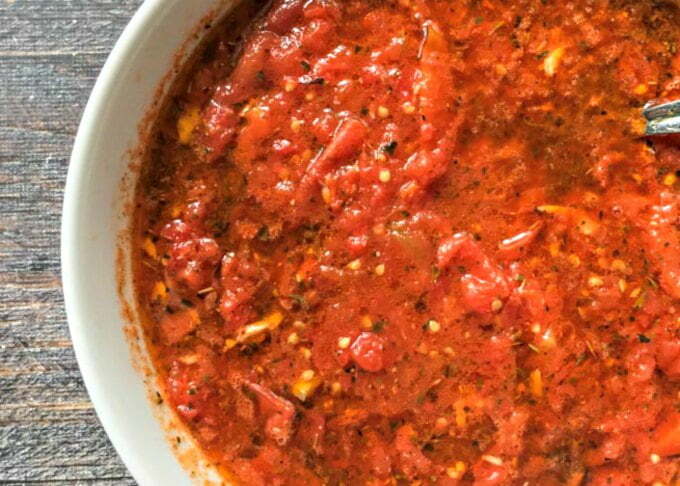 This roasted tomato sauce is perfect with fresh tomatoes from your garden. 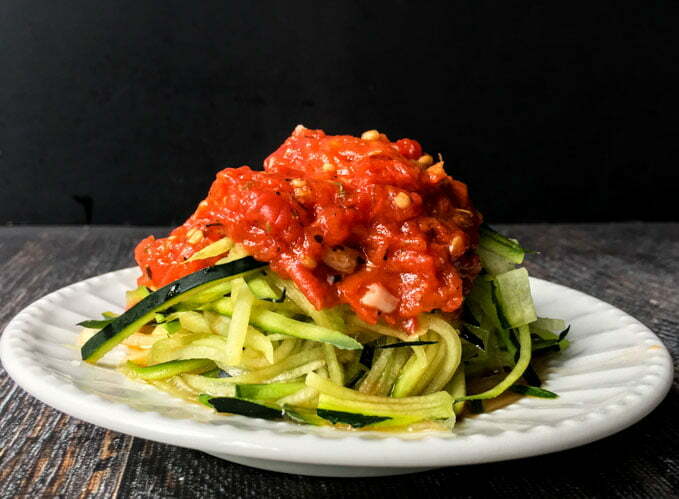 It is so delicious you won't buy jar sauce again and best of all it's easy! 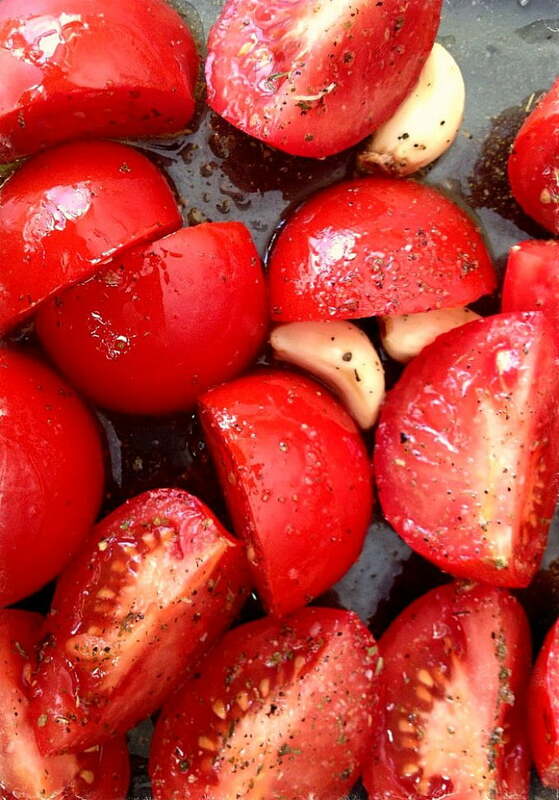 Quarter tomatoes and toss with olive oil, garlic cloves, salt and pepper and seasoning in an 8x8 baking dish. Roast in a 375 degree oven for 1 hour. Check towards the end to make sure they are roasting and not burning. Take out of oven and mash with a potato masher. Enjoy! 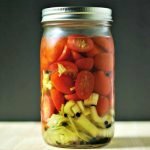 Previous Post: « Western Omelet in a Jar – Easy low carb breakfast you can make in the microwave! For some reason the link to your Bloody Mary infused Vodka, is misspelled. It’s showing up as “Bloddy”. Thanks for pointing that out! I’ve fixed it. This is my 2nd time making this. Made a double batch both times. Very excited to be making my own pasta sauce. So glad you like it. It’s so easy isn’t it? Thanks for coming back and commenting. I appreciate it! Haha You understand me Lindsey! I’ve made a similar recipe. I’ve roasted poblano peppers, tomatoes, onion and garlic together. Great for chili. I don’t see why this can’t be frozen. I have never done that but I freeze a lot of things and I can’t think of a reason why it wouldn’t work. I made this recipe this week and it is fantastic. 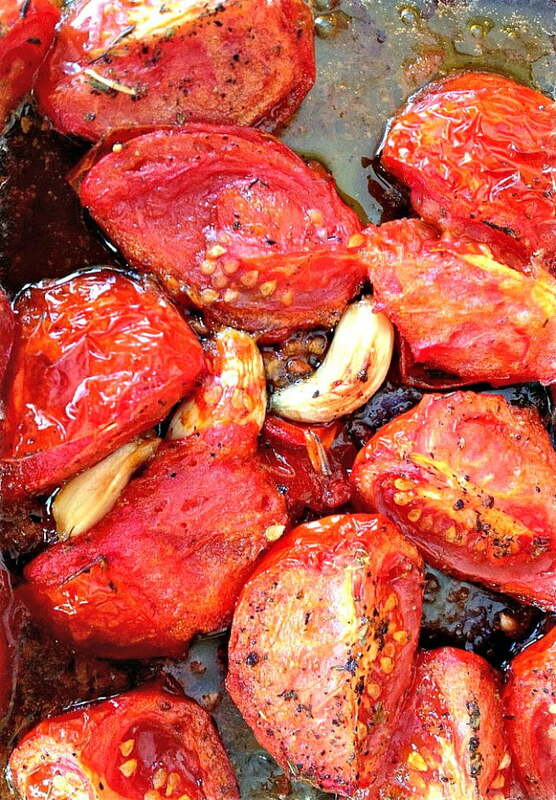 Roasting really makes tomatoes shine. Thanks for a very simple and delicious way to use up summer tomatoes. I’m making more today for the freezer! Thanks Liz! This is an old post but it is good. I’m glad you liked it. My tomatoes just sprouted up the other day, only a few more months until I can make this with my own homegrown tomatoes. I can’t wait.